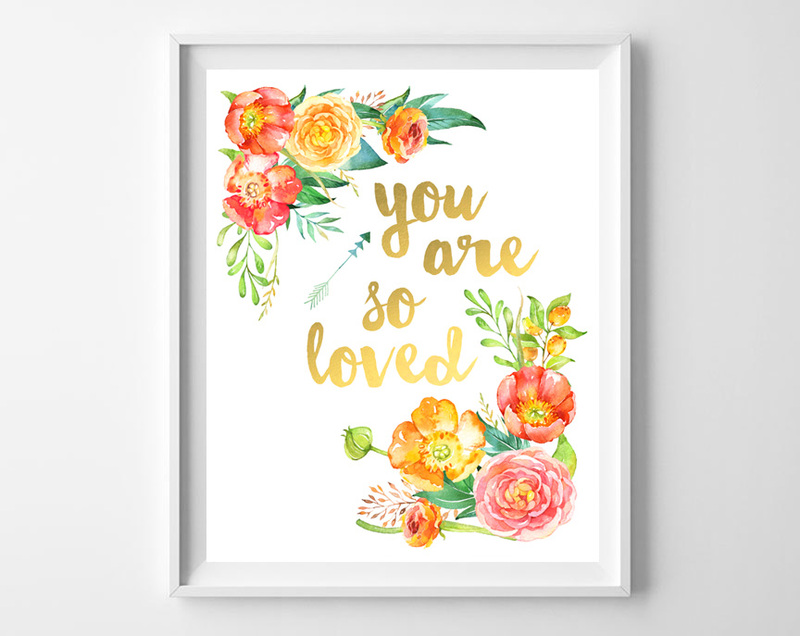 “You Are So Loved.” One of my favorite phrases and perfect as wall art for a nursery or child’s room. 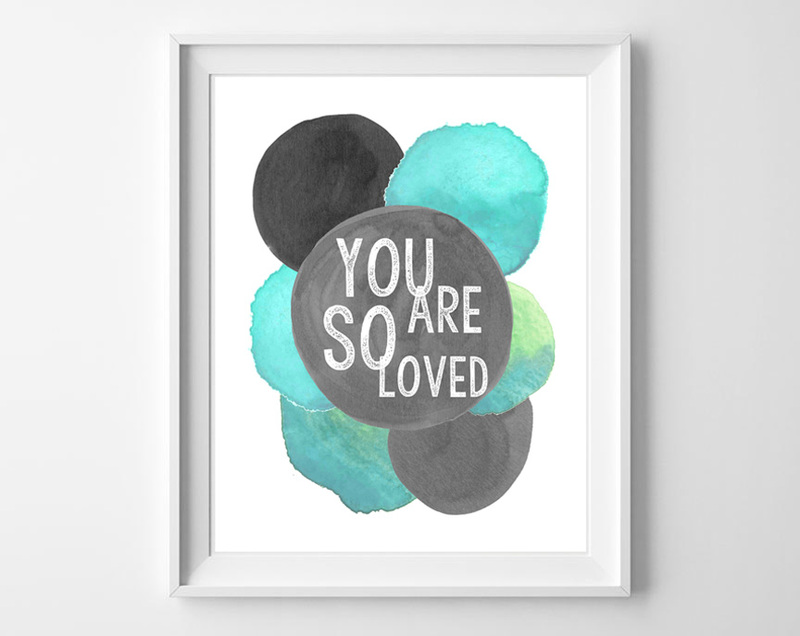 Today, download free printable art featuring this phrase-we have several designs to choose from! I love quotes that are short, sweet, and meaningful. Quotes that say a lot, in a few words. And I love it even better when I can turn said quote into colorful and fun free wall art! 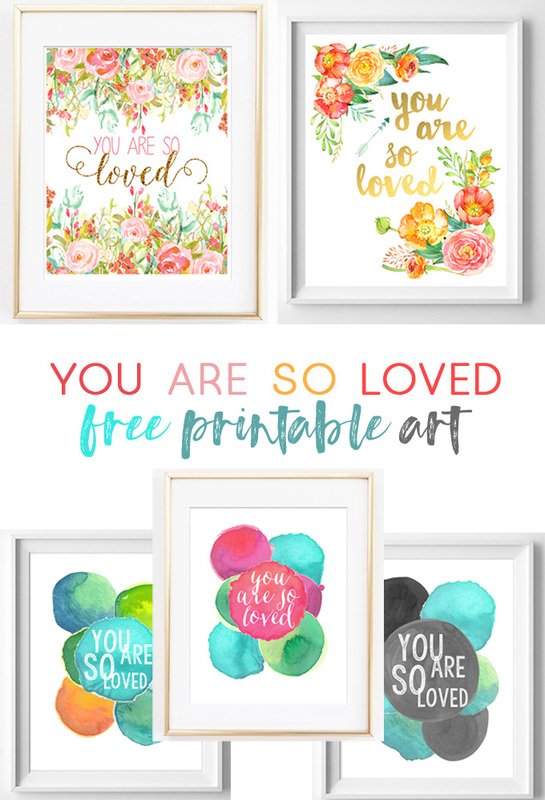 These “you are so loved” free printables feature a favorite quote paired with some of my favorite design elements. Choose your favorite, print out, frame and hang for easy and virtually instant wall art! 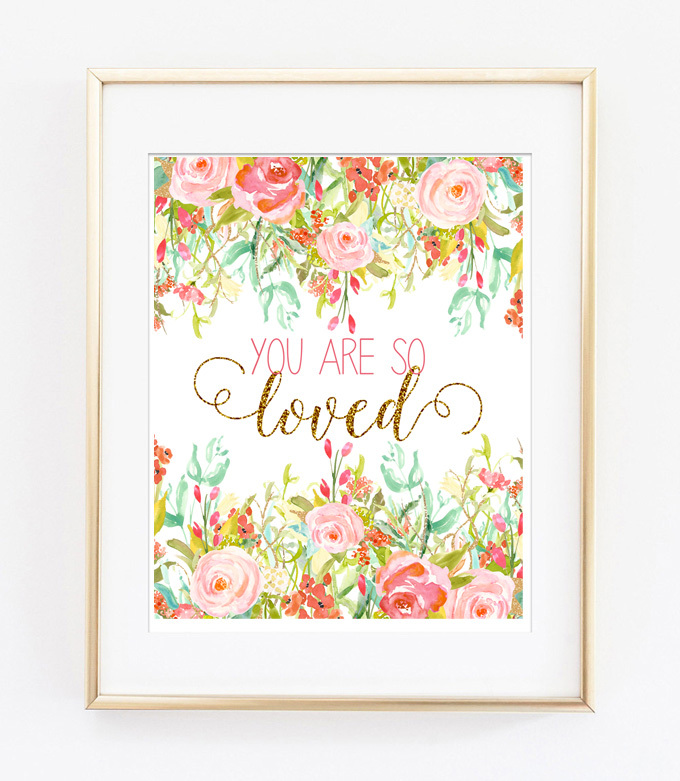 I love the combination of soft florals and gold glitter in this printable! If tropical colors are more your thing, try this one! Also perfect for a summer-themed baby shower! These muted colors are perfect for a boy’s nursery. Love this chunky, distressed font, too. Love the font but want something more colorful? This one is for you! Lastly, a pretty font combines with pinks, blue, greens and purple for a sweet, feminine design! 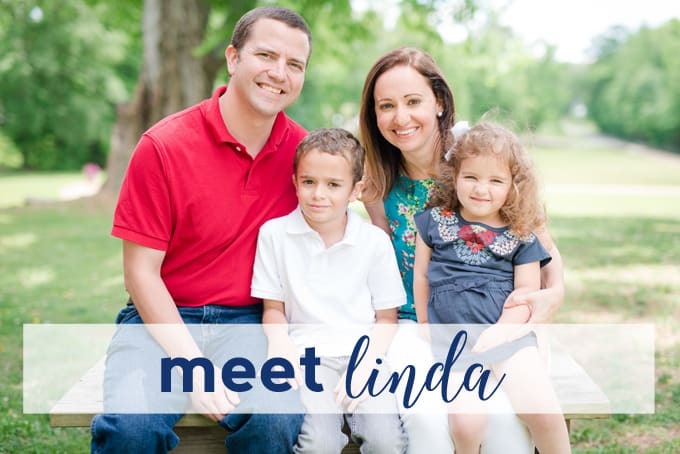 We love free printables and have over 100 to share in our archives! 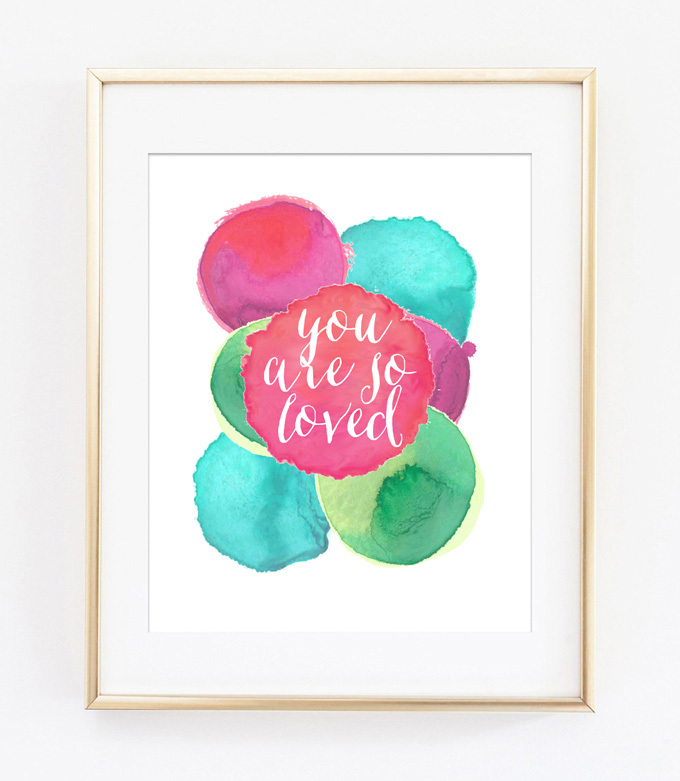 Check out this post, too, about how to print and display your free printable art. 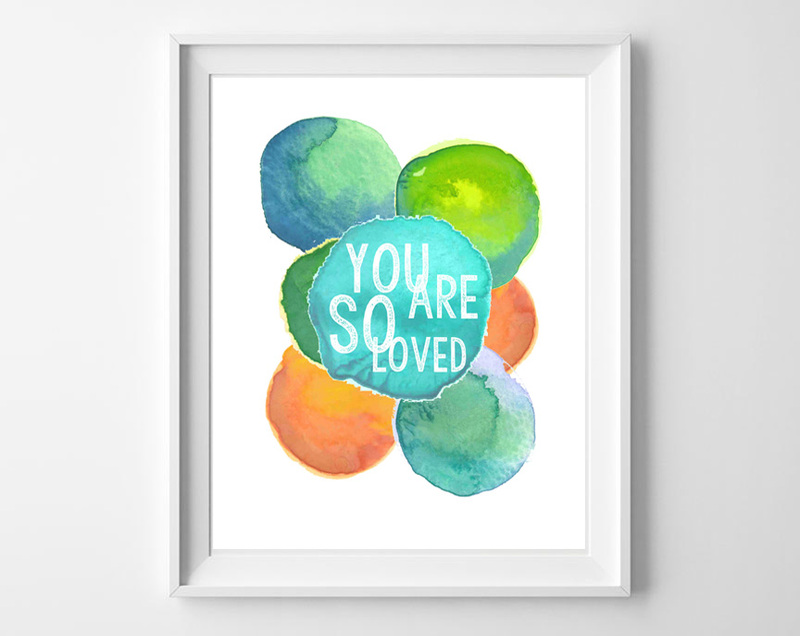 Thanks so much for reading all about our You Are So Loved Free Printable Art! Have a lovely day!